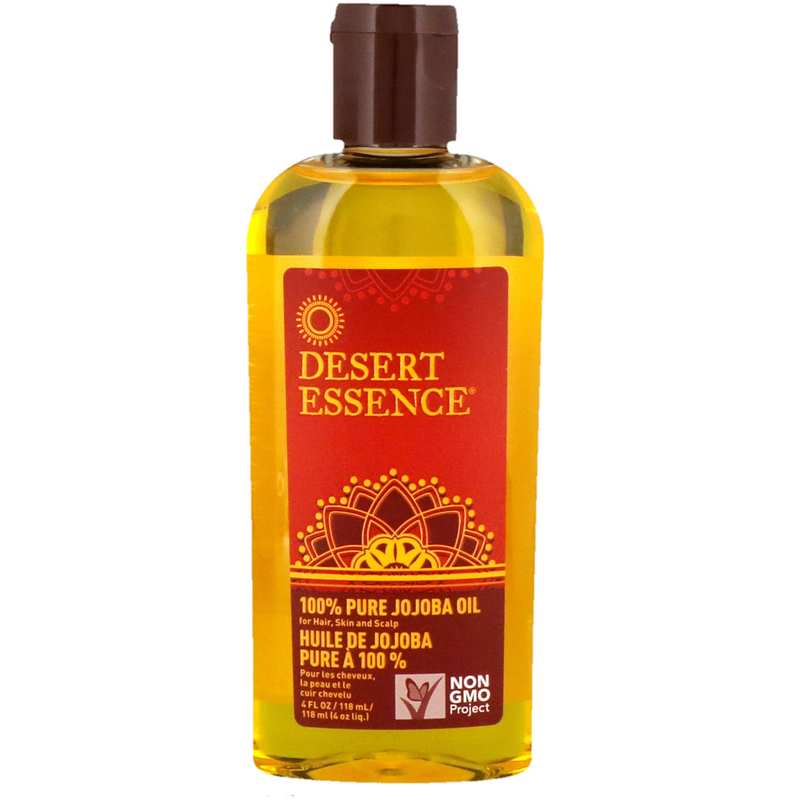 Desert Essence Jojoba Oil is a pure and natural plant extract that penetrates and moisturize skin without leaving any oily residue. 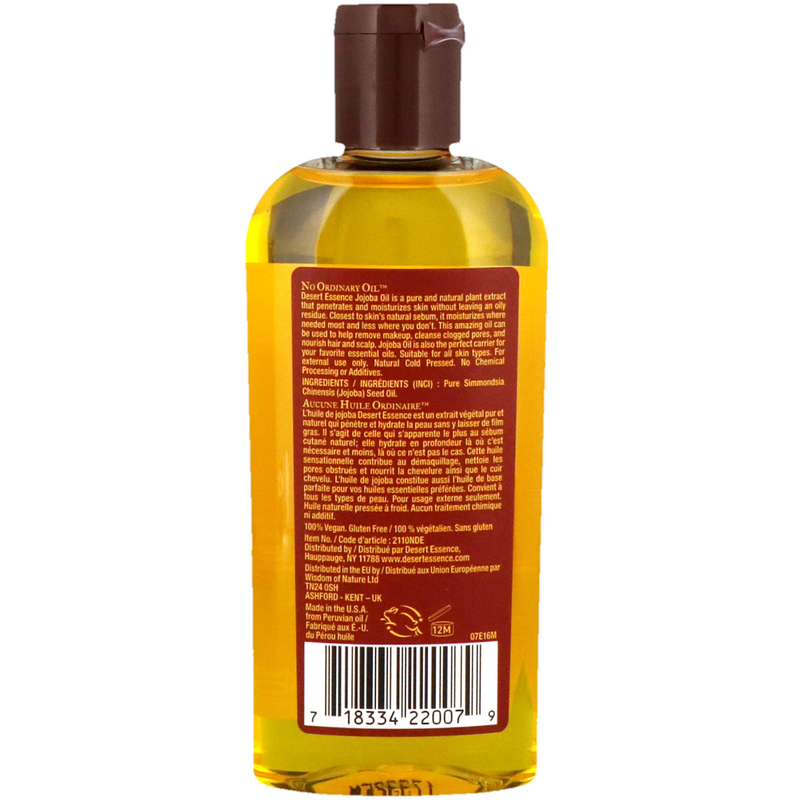 Closest to skin's natural sebum, it moisturizes where needed most and less where you don't. This amazing oil can be used to help remove makeup, cleanse clogged pores, and nourish hair and scalp. Jojoba oil is also the perfect carrier for your favorite essential oils. Suitable for all skin types.